Why Do Psychics Say Different Things? I'm So Confused Why Given Different Predictions? Getting real, accurate psychic readings predictions can actually be very elusive these days. You may have received a number of readings and now you are wondering why psychics make different predictions or say different things and which. There are so many psychic venues–psychic lines, psychic websites, bookstores, gypsy psychic houses, etc., where you can get a psychic reading. In addition, there are several types of readings that can be experienced. There are clairvoyants, tarot card readers; there are psychics who read runes or tea leaves; or psychics who use other tools to conduct a reading such as numerology and astrology. You may be wondering if a psychic uses tools, does this mean they are not psychic or have diminished ability? Let’s get something clear. Psychics who use tools can very much be naturally psychic or spiritually gifted. In fact, they can be quite powerful in this capacity. When a person is using higher spiritual gifts to access information which would otherwise be hidden, should they decide to use tools does not lessen their ability in the least and could, in fact, be a powerful aid for them. There are some people who use tools because they are learning. Sometimes a person desiring to become a professional psychic with raw psychic ability, will start out by studying the Tarot Cards. After time and training, a person starting out with Tarot can gradually sharpen their skill to the point where they can actually offer their talent on a professional level. Studying to become a psychic (or I prefer to be called a psychic spiritual counselor), entails more then learning meanings of tarot cards or studying other ancient tools. You have to have a gift if you are to provide an authentic experience, not only for a querent, but for the spiritually gifted as well. The Tarot is quite an ancient tool of divination. A common dictionary meaning of divination is “the practice of attempting to foretell future events or discover hidden knowledge by occult or supernatural means,” with very accurate results–and this too depending on the skill and level of psychic ability. So whether a psychic is able to divine the past, present or future with or without tools should not be a concern. What should be a concern is whether or not you are dealing with an authentic and ethical intuitive in the first place to get an accurate psychic reading. Don’t fool yourself. There are people who have genuine psychic ability who have no scruples and will tell you things just to get you in their control and rob you of all your money. Do not think that a gifted person is necessarily, by virtue of having a spiritual gift, from the divine or have blessed origins, or hold themselves to a high standard. You must be very discerning and not so trusting unless you have been referred by someone who has had a truly valuable and verifiable experience. Psychics Are Telling Me Different Things — The Devil Is In the Details. Now this brings me to why psychics give different predictions. You probably could see where I was going with this. Remember, I mentioned above that there are all types of psychics who have varying levels of psychic ability and methods. Actually, psychics can say the same things which may give you a secure feeling that what they are saying must be accurate because they are all saying the same thing. Wrong. Then, you have psychics who will tell you different things. Who is accurate, who is inaccurate? This can be most confusing. And, in fact, you actually just end up being more confused then when you set out to get clarity by calling a psychic. I have found, being a professional and authentic psychic counselor, that when, for example you call a psychic network where there are hundreds or thousands of readers, you found them all saying basically the same thing. Basically, it is the broad picture that is very similar. The details will vary greatly. The reason that you will hear the same thing over and over again is because you have encountered a scripted type of reading. Not a reading that is authentic in nature. By scripted, I mean that they have certain responses that they have familiarized themselves with based on what you are asking. You may not be aware that psychic hotlines use to be how most people got their psychic advice. These psychics were provided with scripts, manuals, handbooks. Literal scripts for what they would say about every aspect of life you can imagine. Thousands memorized these scripts and made it their own. So each fake, unreal psychic you call will give you a reading that is a variation on a familiar theme. There is nothing less then an arsenal of these types of psychic readers out there, just waiting for you to call so they can confuse you. You will hear the same thing over and over because in cases where there are hundreds or thousands of so-called psychics, it will be very, very difficult to find a real psychic. The script is one where they tell you exactly what you are eager to hear. That the person you are calling about loves you, or you will get married one day, or you are soul mates. It’s just a matter of time. This is the broad picture. They cannot provide you with real details because a) they do not know the details and have no way of knowing, and b) you are likely to be filling in the details yourself. If you call a number of psychics and they are saying different things, the different things are now in the details. You are calling one after another now to see if one verifies the other. This is where you will get so confused by your psychic reading. The broad picture is the same but the details are all different. You see in the scripted reading, the psychic reader is telling you what you want to hear not what you need to hear. In an authentic, real psychic reading, the psychic intuitive is accessing information on a spiritual level. People seem to forget this. Through a real psychic, you are getting guided information originating from higher consciousness. In these cases, you will be hearing what is necessary for you to know to go forward in a balanced way to acheive balanced solutions in your life. You are not meant to know everything you want to know. Like asking will you marry someone you just met, or when will you be living together and how many kids will you have. You assume this is going to be the next step since you were told they were your soul mate, so now you want all the details about the future–which by the way, takes you off course, sort of like following a false trail. Spiritual channels (which psychics are suppose to be) cannot guarantee your future. You will find yourself asking psychics questions they will not have the answers for but they will be happy to provide you false answers. The details they can only fabricate. That’s why they say different things. This is where having a realistic viewpoint of what to expect from a real psychic reading to begin with will provide you with a much more valuable experience. You have to have the correct mindset to receive higher guidance. When you have a scripted reading, what you are experiencing is fortune telling–an “entertainment” form of psychic reading that is so prevalent and which dominants the psychic industry today. Far from real, but this is the common practice among many networks and groups. The psychic gypsy scam is a fake reading taken to a whole other level. This scheme is intended for the sole purpose of conning you out of every single dime they can get from you, often times until you have nothing left. Telling the Future — An Uncommon Gift. The work you do with a real psychic has more to do with revealing information about yourself and the path you are on with regard to your questions involving others. A real psychic can feel and see a person’s thoughts or feelings; they can divine the future based on the energy levels identified at the time of the reading. I have found it rare when an “assumed” psychic can accurately tell the future. This is not a common gift. They cannot guarantee your future with another. It is easy to get caught up in the lie from a fake psychic and start believing in a false idea which will take you on an odyssey that will leave you disillusioned and confused beyond belief. I have covered these topics thoroughly in my other articles, How To Spot A Fake Psychic–Changing the Fake Psychic Paradigm and Real Psychic Readings and Why It Is Not So Easy to Find An Authentic Psychic. Please read these before calling or going to see a psychic, as well, What Can A Psychic Really Tell You? Cherry Sage has been providing authentic and accurate psychic readings since 1999. She owns and operates one of the top quality psychic web sites on the internet today. Her main focus is authenticity, honesty and integrity. 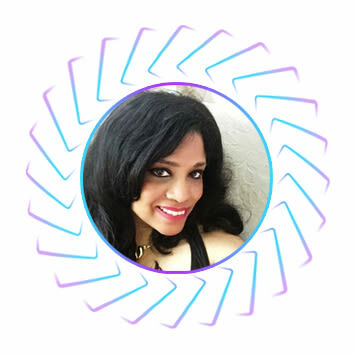 One of her missions is to make sure that everyone looking for real psychic readings or tarot card readings will be able to find certified authenticity and quality service–to change the existing “imitation” psychic paradigm. Her many followers trust in her advice and her accurate predictions. 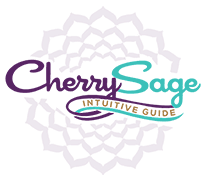 You can read hundreds of inspiring testimonials to her honesty and accuracy at http://www.cherrysage.com. 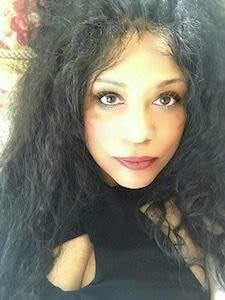 I’m the head writer over at Paranormalknowledge.com. I would like to exchange links with you and spread some traffic around. Please let me know if this is possible. I’ve been confused many times by Psychics but it always means something. Keep a look out for what it could be. Wow just found your site in google.. Love your post on Real Psychic Readings — Why Do Psychics Say Different Things? I’m So Confused!! Glad to have visited the site. Never thought I would enjoy it this much upon reading through it. And I got so many great points. Great job. Kudos! Your article is great. here is good information about Psychic readings and Spiritual Blog. I’ts very useful. You have very nice blog. Please could you take a look at my new website – I would love some feedback. Many thanks. I specialise in psychic readings and energy healing and hope you find it interesting.